Emeka is an executive with leadership experience across the public, private and non-profit sectors with a track record of execution, innovation, forging public-private partnerships, and thought leadership. At The Menkiti Group, Emeka serves on the Executive Team as Senior Vice President and Managing Director of MG Capital to help build out the company’s investment and social impact platform. 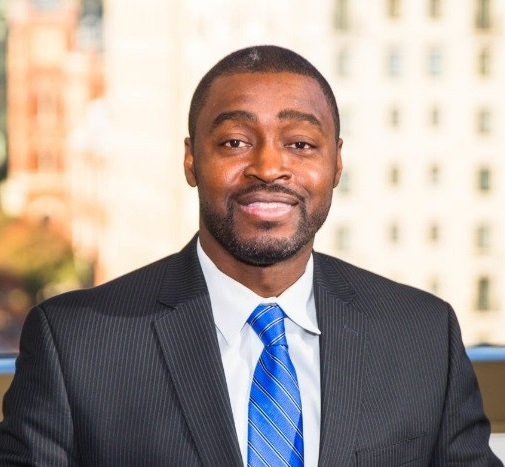 Emeka brings with nearly 20 years of proven experience in the areas of infrastructure development and project finance, strategy execution, program management, and public policy. Emeka has joined The Menkiti Group after serving as the Deputy Executive Director of the Federal City Council, non-profit, non-partisan organization comprised of the District of Columbia’s top business, professional, education, and civic leaders. In this role, he raised investment capital, secured and structured debt, and coordinated the various committees and partners for the organization’s public-private projects. Prior to this role, Emeka was a management and financial consultant at Public Financial Management (PFM) and PB Consult. He is a graduate of Miami University and the University of Cincinnati and now resides with his wife, Celeste, and four children in Washington, DC.